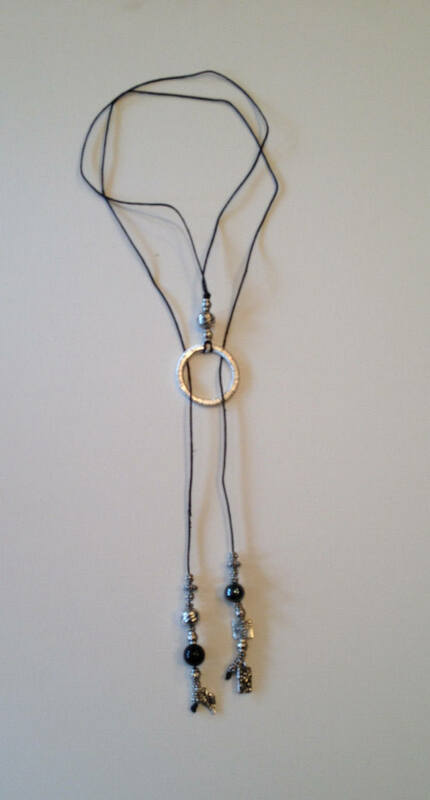 SJC10246 - Scarf design - Handmade Necklace with silver or silver plated charms or beads, black onyx and magnetite beads on black thread. 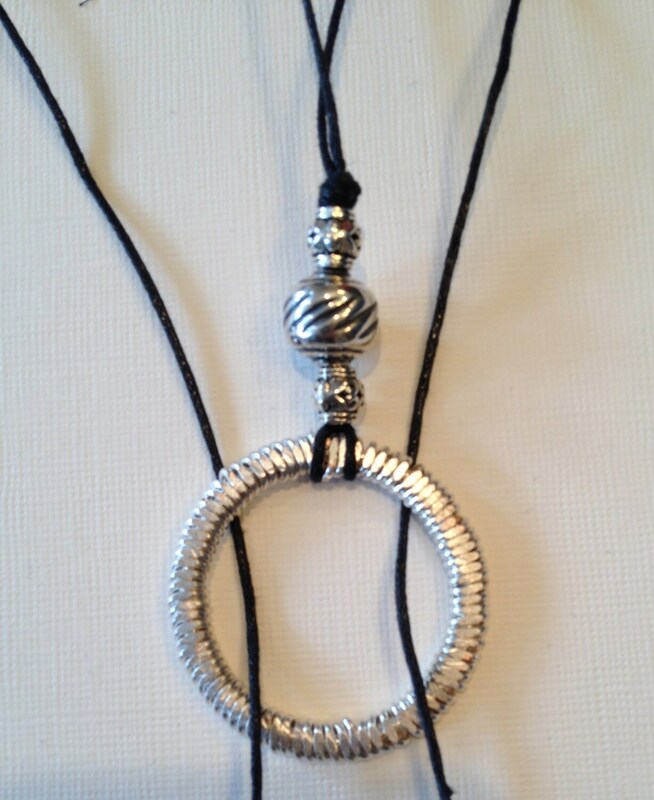 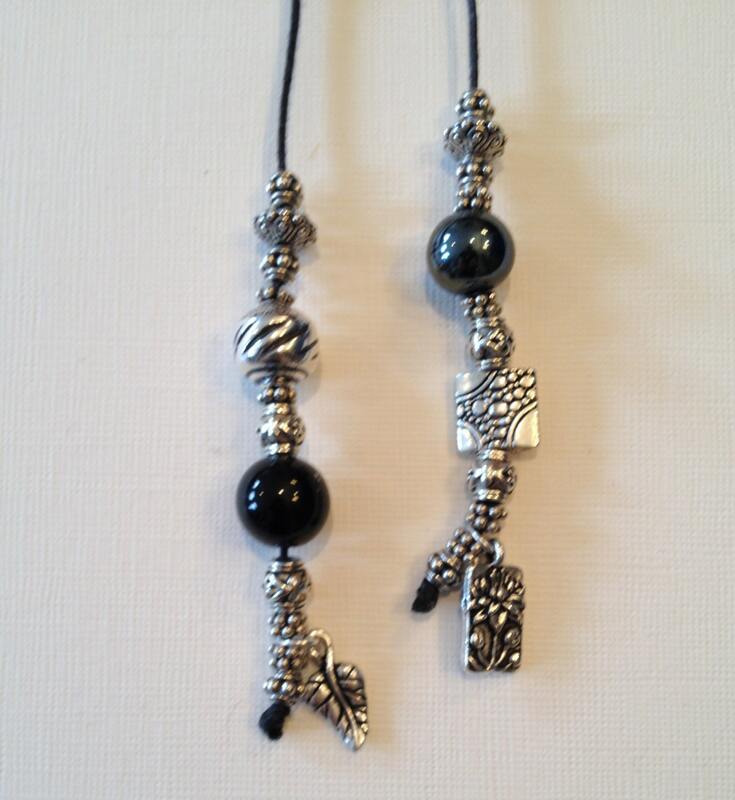 Scarf design - Necklace with silver or silver plated charms or beads, black onyx, and magnetite beads on black thread. 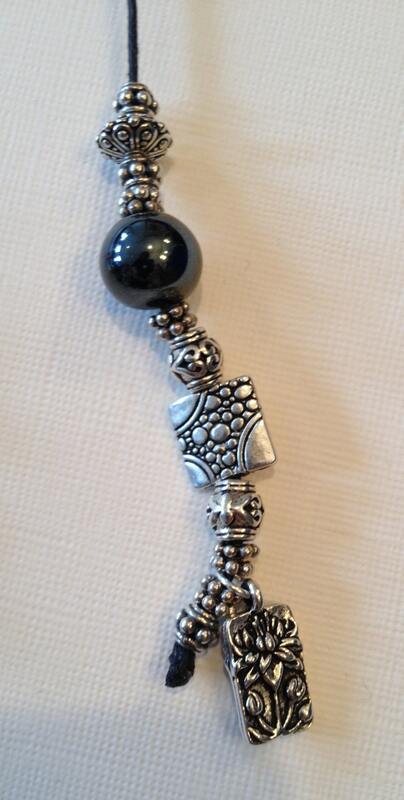 This necklace measures about 16-18" long (adjustable).